The quality you need. The small-town feel you want. "Highly recommend Paola Family Dentistry." "Always great service from the second you walk in the door!" Dr. Travis Howard of Paola Family Dentistry is an experienced and qualified dentist serving patients in Paola, Miami County, Kansas and the surrounding area. Dr. Travis Howard grew up outside Topeka, Kansas and attended Kansas State University where he received a bachelor’s degree in Nutritional Sciences. He completed his education at UMKC School of Kansas City, located near downtown Kansas City in 2008 receiving his DDS. 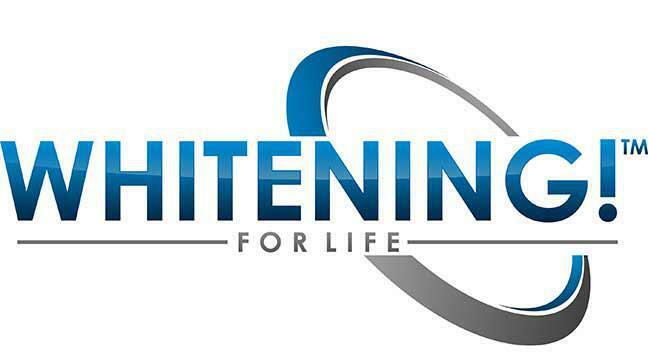 He began practicing in Paola in 2012 and has committed himself to providing a great dental experience for people of Paola and surrounding area. Dr. Howard believes that providing his patients with exceptional care requires a commitment to the latest technologies and techniques. 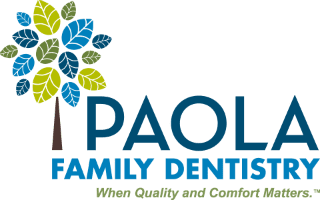 Paola family dentistry utilizes digital X-rays, high definition photography, and digital impression systems to provide safe, accurate, and quality treatment for its patients. The approach for each dental procedure you might require utilizes modern equipment and systems. Dr. Howard has attended several courses at the Spear Education center for continuing education as well as frequent online courses and participates in a local study club. Dr. Howard feels that educating patients about their oral health is of the utmost importance. Helping to give you the knowledge and tools to keep your mouth healthy can have a major effect on your overall health. From your toothbrush to your diet, Dr. Howard and his team want to help you achieve the level of care and health you desire. Modern dentistry has given us the opportunity to preserve your teeth for your lifetime and exciting opportunities to restore your mouth from any condition. When he is not working Dr. Howard enjoys spending time with his family,wife Jenni and sons Tate and Hanes. He loves the outdoors and has been an avid hunter and fisherman in the state of Kansas his entire life. Other interests include boating, travel and following the local sports teams. He looks forward to meeting you and helping you keep or find a healthy and beautiful smile! 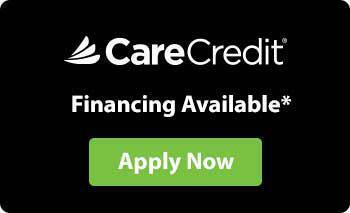 Overcoming obstacles for her patients, be it understanding dental insurance, assisting with financial solutions, or simply working around a patient’s busy schedule, is her favorite part of her job. She enjoys dentistry’s challenges and the opportunity to learn something new every day! She and her husband are both K-State alumni and love attending sporting events and traveling. Their 13-pound guard dog named Espe keeps them safe from all the neighborhood squirrels and rabbits. They enjoy spending time with their big families and trying new restaurants near and far. She can’t wait to welcome you to Paola Family Dentistry! Being new to the area, she has really enjoyed getting to know the patients better and integrating into the community. She and her husband love taking their boat to the lake with their dog Cooper. She also enjoys scrapbooking in her spare time. The best scrapbook she ever made is of the four years she lived in California, living there was almost like a vacation. They are expecting their first child in November and they are so excited! She looks forward to learning more about dentistry and what she can do to help you achieve dental health. Helping patients establish value and pride in their smiles is a very rewarding career, and she enjoys being able to inspire great confidence in her patients. She has been a Dental Hygienist for 10 years, and she is very passionate about her career. She is from Greeley where she lives with her husband Mark and their young son, Henry. She enjoys spending time with her family, Kansas State athletics, home improvement projects and working on her home landscaping. It has been a wonderful transition for her since becoming a member of the team at Paola Family Dentistry, and she is thrilled to be a part of the family here. Let’s make you a part of this family too! Being a hygienist is very gratifying for Carissa, especially here at Paola Family Dentistry, where she is able to provide her patients care in a calm and caring atmosphere in which their comfort and well-being is the main concern. She has been a hygienist for over 7 years and she loves being a part of the Paola Family Dentistry team. She and her husband are both locals and they recently moved back to the area. She is so thankful to be able to provide her oral healthcare expertise to her own community! When she’s not cleaning teeth, she spends most of her free time helping raise their 1-year old daughter, Hayden. When they are not chasing her around or working on projects at their home they love spending time at the lake and with their family and friends. Carissa invites you to come find out what extra amenities we have to offer at Paola Family Dentistry! Returning to her career at Paola Family Dentistry after graduation from hygiene school, Emma is excited to be back in her hometown and loves seeing familiar faces in the office. She has been working with Dr. Howard since 2014, starting out as a dental assistant and quickly becoming seasoned in administrative duties as well. While in hygiene school, Emma continued to help out at PFD, and when given the opportunity to return to Paola Family Dentistry after graduation from hygiene school, she did not hesitate! Emma has a sweet new daughter whose name is Stella Rose and Stella’s parents could not be more in love. Emma is patiently waiting for Stella’s teeth to come in so that Stella can experience her first visit at Paola Family Dentistry! Emma is excited to continue her career as a part of Dr. Howard’s growing practice and is eager to assist patients where ever possible in order to create the most comfortable, relaxed dental environment in Paola. Bailey and her family are new to the Paola area, having recently moved here with her husband and one year old daughter. After attending Vatterott College in Springfield, MO and completing the dental assisting program, Bailey has diligently continued her education to become an Expanded Functions Dental Assistant. Staying up to date with the latest technology in the dental field helps Bailey give the best possible care to her patients. She enjoys cake decorating and traveling her with family, especially to her favorite spot in Destin, FL. Bailey can’t wait to welcome you to PFD and get to know you with her outgoing personality! is open as of April 1st! At Paola Family Dentistry, we accept most major PPO (Preferred Provider Organization) insurances. We will file all PPO insurance claims as a courtesy to you, and all applicable copays and deductibles will be owed at the time of service. This is a list of some of the major insurances we accept. If you do not see your PPO insurance listed here, please feel free to call our office to confirm. Even if we are not contracted with your PPO insurance, we will still file the claim for you! If you do not have insurance, or your insurance is not a PPO plan, check out our Dental Membership Solution! Please Note: For Cigna, we only accept Cigna DPPO. "Not only does Dr. Howard have a fantastic office, but he provides the best dental care that you could ask for. I would highly recommend him." "Very gentle and caring. Also very knowledgeable. Already made another appointment to get started on my dental care with him. Five stars all the way!" "Friendly and consultative staff led by one of the most genuine Doctors I have met. " "Pleasant atmosphere at the heart of the downtown square! Support your local businesses, support Paola Family Dentistry!"